Unique and colorful tag featuring raised and contoured presentation. These rubber bags will weather the every day elements from baggage carousels to wet fairways. Multi-colors available. 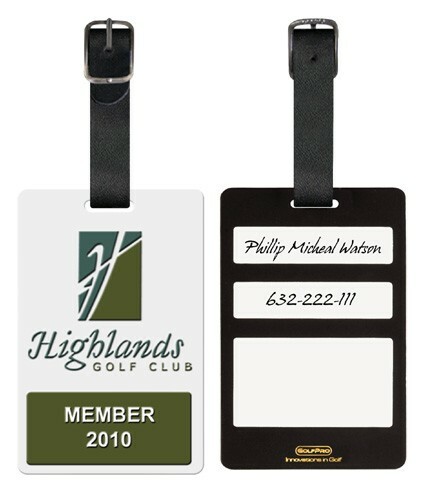 Complete individual personalization provided by backside template. Each with leather strap. 3.437" x 2.25" x 0.125"